Please join us Friday, April 13 from 5:00 to 10:00 p.m. at Historic Beaver Dam for the Beaver Dam Food Truck Jam featuring Baltimore Crab Cake Co, Milagro’s Latin Cuisine, Eleven Lakes Brewing and more! Rusty Knox will perform from 6:00 to 9:00 p.m.
Come watch the Wildcats take on the Spiders. All lacrosse games are free and open to the public. Friday’s game will be the first annual “Food Truck Friday” for women’s lacrosse. From 5:30-7 p.m., Carolina Craft Butchery will be serving food. In addition, the first 50 fans will get a FREE shaved ice from Kona Ice, which will be there for the majority of the game as well. The Davidson Farmer’s Market, Inc. (DFM) is a 501(c)(3) non-profit organization based in Davidson, North Carolina. 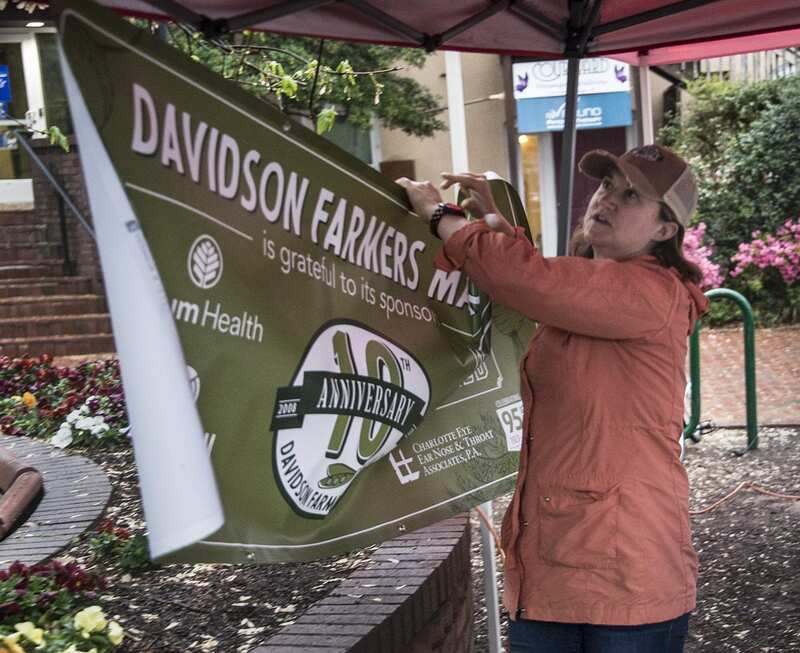 This is the 10th year of the Davidson Farmers’ Market. The Davidson Farmer’s Market is a producer-only, year-round Market featuring more than 35 farmers and local producers from within a 100-mile radius. The Market is a lively gathering place for meeting friends and for learning about food, agriculture and nutrition. Growers and producers are on hand to answer your questions, from “How was this grown?” to questions about how to prepare and preserve all types of foods. We are located next to the Davidson Town Hall between Main & Jackson Streets. Parking is available on Main Street, Town Hall Lot, Police Department Lot, and at Davidson Presbyterian Church lot at the corner of Depot & Jackson Streets. Come see the men’s team take on the Mountaineers. Weather permitting the matches will be held on the outdoor courts behind Baker Sports Complex. In the event of inclement weather, the matches will be played in the Knobloch Tennis Center. Films are screened at 7:00 p.m. at the Armour Street Theatre, 307 Armour Street, Davidson. Cost for a subscription for all six films is $35. Walk-in’s are welcome at a cost of $9 per film. For more information, visit the Davidson Film Club website . Come watch the Wildcats take on the VCU Rams. All lacrosse games are free and open to the public. This is Senior Day for the Wildcats, so come early as all the seniors and their families will be recognized before the start of the game. Come see the men’s team take on the College of Charleston. Weather permitting the matches will be held on the outdoor courts behind Baker Sports Complex. In the event of inclement weather, the matches will be played in the Knobloch Tennis Center. [email protected] Concert series presents Bodega Bay Baroque: Kathleen Kraft, baroque flautist will be joined by Leak Peroutka, Gail Schroder, Beverly Biggs and Barbara Weiss performing baroque chamber music including a “Paris Quarter” by Telemann. Arrive by 2:20pm to enjoy the pre-concert Young Artist performance. A meet-the artist reception follows the concert. Tickets available at the door or on the website. $20 general; $15 seniors; $10 students; children under 12 Free. April 16 @ 6:30 p.m. The Town of Davidson Board of Commissioners invite all community members to attend a Davidson Coffee Chat on Monday, April 16 from 6:30 to 7:30 p.m. at The Egg at Davidson located at 231 Griffith Street in Sadler Square. These coffee chats are informal meetings and are typically held the third Monday of the month so attendees can ask questions on issues and projects in the Town of Davidson. Commissioners will treat attendees to coffee and tea, but payment for all other orders is the responsibility of each individual.